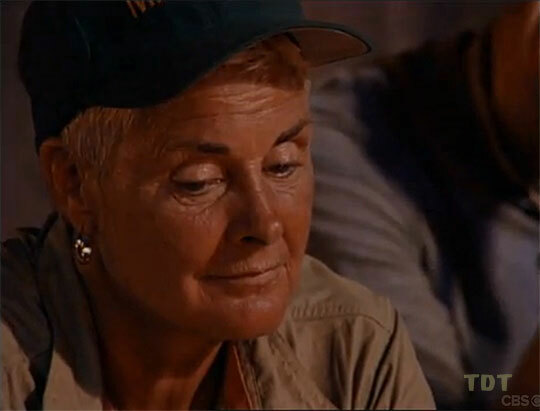 Survivor: The Australian Outback (2001) - 14th place, 3rd out. 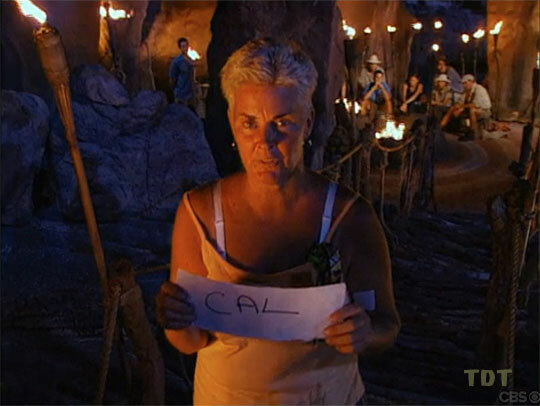 Voted out in Episode 3, "Trust No One" (Day 9). The Australian Outback Ep. 1 RC/IC: "Bridging the Gap" - Ogakor wins. The Australian Outback Ep. 2 RC: "Butch Cassidy" - Everyone competes, Ogakor wins. The Australian Outback Ep. 2 IC: "Tucker'd Out" - Removes her teeth to match Skupin in worm-swallowing, but Ogakor loses. The Australian Outback Ep. 3 RC: "Water Torture" - Water carrier, Ogakor wins on the tie-breaker. The Australian Outback Ep. 3 IC: "Lock Step" - Falls repeatedly, including on the final sprint. Ogakor loses. The Australian Outback, Ep. 3: Five votes, from Tina, Colby, Jerri, Amber, and Mitchell (voted out, 5-1-1). CBSNews.com transcript of her Early Show interview (2/9/01): "It's just a G-A-M-E"
Paul Farhi at WashingtonPost.com (2/10/01): "A Fleeting Fame"
SurvivorOz podcast interview (7/11/14): "Maralyn 'Mad Dog' Hershey Interview"
"Maralyn Hershey spent 26 years with the Metropolitan Police Department of Washington, D.C., having become one of the first women to be assigned to street patrol. Over the course of her tenure, she was promoted from Sergeant to Lieutenant to Captain and ultimately, Inspector. She is most proud of her promotion from Captain to Inspector, when she served as Commanding Officer of MPD Communications 911 for Washington, D.C. She retired in May of 1996. During her career, Hershey received over 70 letters of commendation and four Incentive Awards for Outstanding Perfomance of Duty. An avid rider and competitor, Hershey enjoys showing her horse, G-Man, in various competitions in her area. Approximately two years ago, Hershey fractured two ribs from a horse fall, followed by a fractured pelvic bone from another fall six months after that. Despite her injuries, Hershey got back in the saddle again and continues to compete in regional equestrian competitions. Hershey was the recipient of the 1999 Peninsula Horse Show Association's Annual Sportsmanship Award. For their 2000 season, Hershey was named champion of her Beginner Equitation/Jumping Division. Hershey describes herself as determined, dramatic, and multi-faceted. In addition to her love for horses, Hershey's other favorite hobbies are yard work and reading. Her perfect day includes riding and jumping her horse, running three miles, mowing her lawn, swimming in her pool, reading a good book, and watching a good science fiction or horror film. Her favorite television shows are The Sopranos and The Corner, and her favorite motion pictures are 'Dune' and 'Bram Stoker's Dracula'. She prefers oldies rock music. Her favorite sports team is The Washington Redskins, while her favorite game is Scrabble. Originally from Rockville Centre, Long Island (New York), Hershey currently resides in Wakefield, Virginia. In addition to her her horse, Hershey also cares for her walker hound, Eunice Bea, her two goats, Harley and Boomerang, and her donkey, Cappuccino. She is a member of the Federal Bureau of Investigation National Academy, Virginia Horse Show Association, the American Donkey & Mule Society and the Peninsula Horse Show Association. Her birth date is January 24."